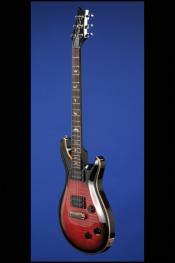 1994 | Fretted Americana Inc.
1994 Paul Reed Smith Custom 22. 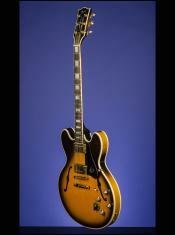 1994 Gibson ES-355 TDSV Stop Tail. Specially Made for Tracii Guns by Larry Brooks and then Uniquely decorated by Dan Lawrence. 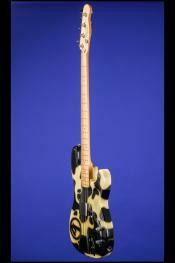 1994 Fender Tracii Guns 'Cowhide' Precision Bass (Larry Brooks) hand -painted by Dan Lawrence.